Long before writing on public spaces was a felony, Prehistoric Art decorated cave walls more than 40,000 years ago. Now, only faceless corporations can afford to get their message out to the public via obnoxious billboards, and intrusive signs. It’s a shame really. I’m no graffiti writer, but I do appreciate people expressing themselves at any cost. Art should be free. Screw paying for admission to your overrated museums. 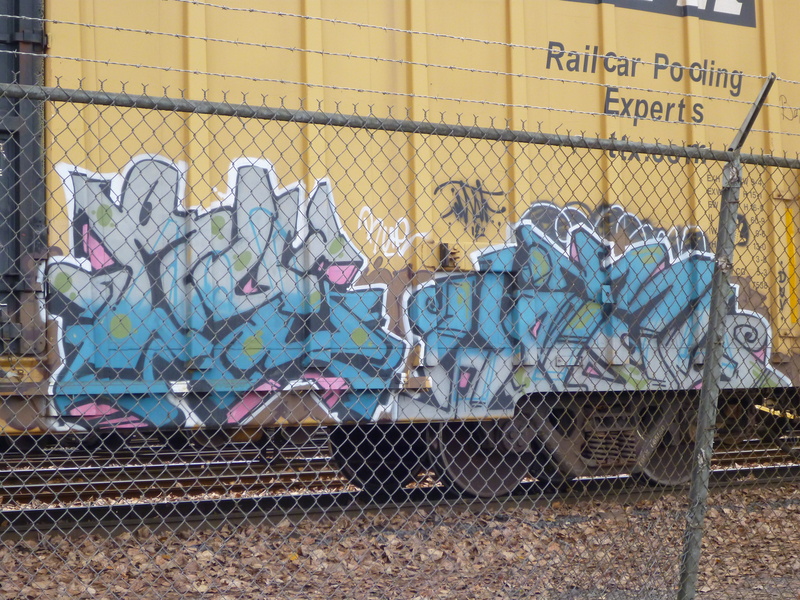 I’d rather take a walk along the train track and see the traveling Art show on the railroad freight cars. I created this video so you could appreciate the bold tags that They don’t want you to see. City planners want you to live comfortably in a pristine little town, with no personality, and tidy flower boxes along concrete walkways. Boring. Embrace graffiti. It’s one of the purest forms of Art. If I see a Thomas Kinkade painting in your house, I’m going to puke on it. Let’s get real, and question what we view as Art. In Eugene, Oregon there are public graffiti walls for anyone to tag freely. We need more open spaces dedicated to this Art form. Or else it may be on your store’s walls, in public restrooms, or on road signs. On the flip side, look at what Banksy just got away with in New York City. His work became instant tourist attractions. Shop owners wouldn’t dare paint over them. And the police wasted untold amounts of resources trying to capture a harmless young man, committing essentially victimless “crimes.” His messages are important, and so are others. We will be heard. Of course, it’s all subjective. But in my opinion, real Art is in the streets. Garbage hangs in the galleries on Broadway. Fight the power.